CP is a lifelong condition that requires therapeutic intervention on an ongoing basis in order to minimise the progressive effects that it can have on a child’s body. Typically, children with CP living in rural areas will only receive between 35 and 60 hours of therapy over the course of their lifetime. In light of the brief contact time between a therapist, a child and their caregiver, it is essential that the caregiver first becomes equipped to effectively care for their child, before any other therapy goals can have a long-term impact on the child. Through our input and support, CP services are able to double or even triple the amount of therapy time that each child receives, by simply restructuring how the CP clinic operates. Therapy teams are exposed to a number of techniques, such as group therapy/treating children in pairs, staggering children, streamlining administrative tasks and strategically using the resources already available to them. This means that at least twice the amount of therapy is provided to the child, without the need to increase the number of staff delivering the service. However, more therapy time does not necessarily result in a more efficient CP service, at least not in isolation. Only once a CP service is able to use this time effectively to “get the basics right” can it have any lasting effect on the children it serves. Through training and support, therapists become aware of the importance of first equipping parents/caregivers with the skills to adequately care for their children; and only subsequently increasing their impact on the child through therapy itself. 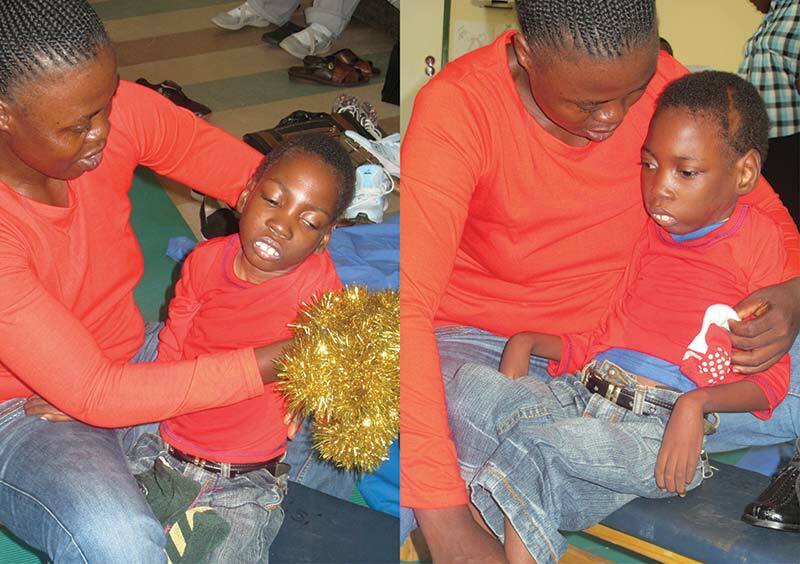 Equipping a parent/caregiver with the necessary skills to care for their children with CP not only minimises the burden on the local health service, but significantly improves the quality of life of both the children and their families. 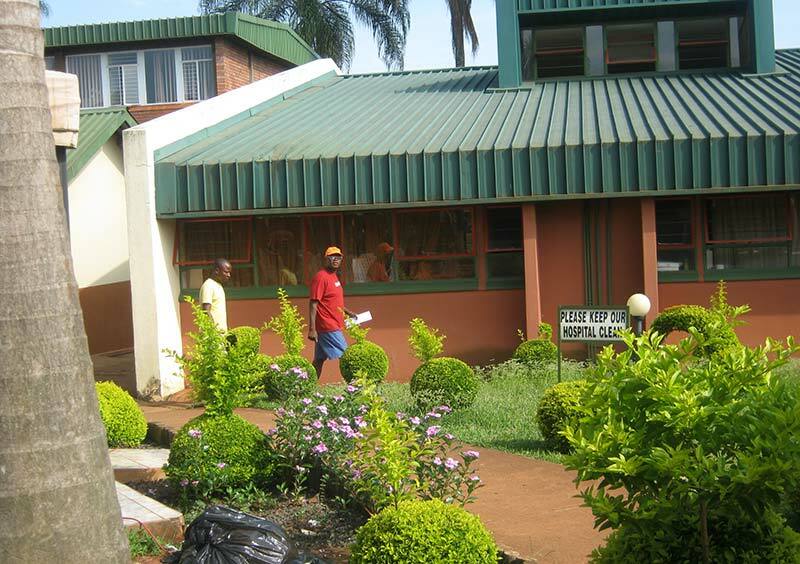 Donald Fraser Hospital could easily be the prettiest hospital in Limpopo. We feel welcome here! The therapists are willing and ready to absorb any skills that we share and it is exciting to see how they incorporate what they have learned into their monthly CP clinics. Every site we work in has its own charm; at Donald Fraser it is the midlevel workers, their patient dedication and humble guidance that reveals how much they care about the mothers and children. They seem to be the thread that holds everything together. They are older than the therapists and they know the children and mothers well. Their relationship with the mothers goes far beyond the OT department; it extends into the furthest village where a child and mother travel 150 km to get to the hospital for a monthly appointment. Their age-old wisdom and patience has earned them the greatest respect that no pay cheque could ever evoke. The attitudes of the therapists and mid-level workers at this hospital has created a strong supportive environment for the carers and children to thrive in. The Carer-2-Carer Training Programme has been well supported and, in turn, worked very well. 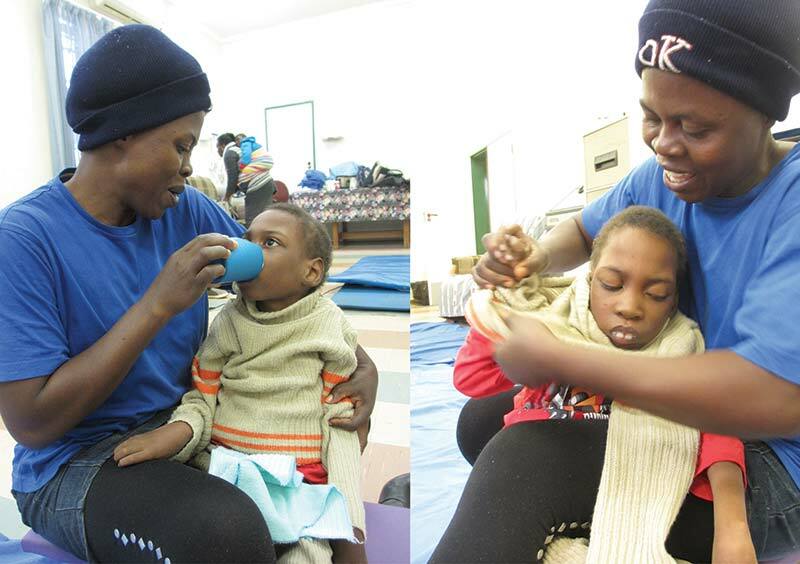 A good example of a parent who has benefited and grown from the support and input of the local health service and Malamulele Onward is Rose Ndou, Michael Ndou's mother and a Malamulele Onward Carer-2-Carer parent facilitator. Rose, and her fellow parent facilitator Phatutshedzo Mugeri, are mothers to children with CP who work with Donald Fraser hospital to fill the gaps that therapists cannot. They both go out of their way to offer support, reassurance and knowledge that leads towards understanding and acceptance. They have been called upon many times by the local therapists at the hospital to counsel and offer support to mothers who are struggling to accept their child’s condition. The collaboration between therapists and facilitators has made rehabilitative services at the hospital efficient, reliable, and attractive to parents. Carers feel that they are receiving a worthwhile service and this is evident in the distances they are willing to travel in order to honour their appointments. Donald Fraser offers a holistic service that is not perfect but it is clear that all who are responsible for it are ready and willing to improve it. This is what Rose had to say about Malamulele Onward’s contribution: "Malamulele Onward has protected and supported us. Our children have reached the potential that they have reached today because of Malamulele Onward. I remember when Malamulele came here and interviewed us before the team started working at our hospital, when they were still only working in Siloam. We then found out the Malamulele Onward would come here to Ndzelele (Donald Fraser). I though Malamulele Onward was taking too long to come at the time. The team eventually came and to tell you the truth we love Malamulele Onward and I just want to say that it must grow. All over the world Malamulele Onward must succeed. 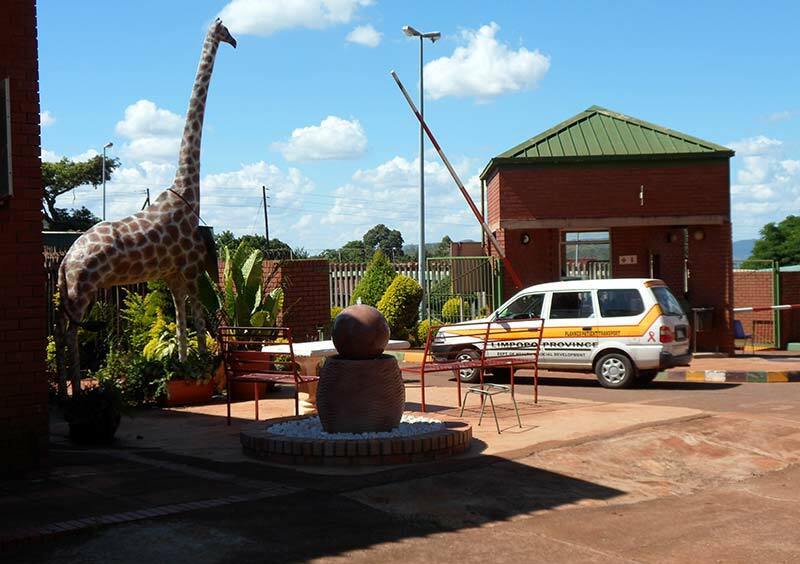 We have received and witnessed a lot from Malamulele Onward."